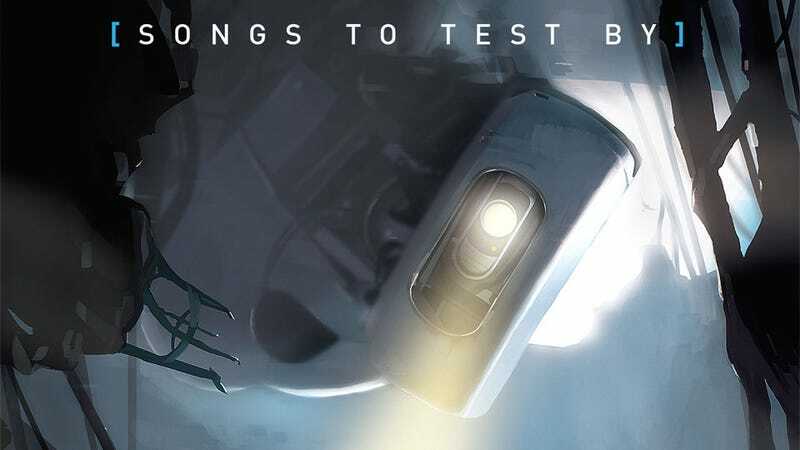 While the brilliant and mostly dead scientific minds at Aperture Science aren't busy coming up with new ways for robots to kill you, they like to kick back and relax with a little testing music. Now you can too, with the first of three "downloadable aural stimulus packages" featuring the music of Portal 2. Get started today by downloading the first of three parts of what looks to be a massive amount of music from Valve's latest first-person puzzling masterpiece. There are 22 tracks in volume one of Songs to Test By, giving players a chance to marvel at the intricate and varied music they likely missed because they were too busy giggling at jokes like these. Whether you're a mega-science corporation with decades of test experience, or a young start-up liberating your first test subject from non-testing with a chloroform-soaked rag, Aperture guarantees results. Wake up your test subject, open the chamber door, and press play—let Aperture's patent-pending rhythmic compliance enhancers do the rest. And no, Jonathan Coulton's delightful "Want You Gone" hasn't made the cut yet. Hopefully we'll see it in volume two, because Valve seems to have serious problems with the number three (thanks, McWhertor).